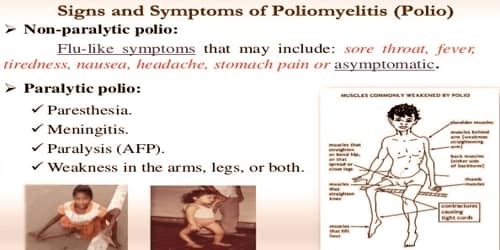 Definition: Poliomyelitis, often called polio or infantile paralysis, is a highly infectious disease that most commonly affects children under the age of 5. Most know it as poliovirus. The virus is spread person to person, typically through contaminated water. It can attack the nervous system, and in some instances, lead to paralysis. Although there is no cure, there is a safe and effective vaccine – one which Rotary and our partners use to immunize over 2.5 billion children worldwide. The disease is preventable with the polio vaccine; however, multiple doses are required for it to be effective. The US Centers for Disease Control and Prevention recommends polio vaccination boosters for travelers and those who live in countries where the disease is occurring. Once infected there is no specific treatment. Cases of polio peaked in the United States in 1952 with 57,623 reported cases. Since the Polio Vaccination Assistance Act, the United States has been polio-free since 1979. While many other countries are also certified polio-free, the virus is still active in countries that haven’t started immunization campaigns. According to WHO, even one confirmed case of polio puts children in all countries at risk. Poliomyelitis has existed for thousands of years, with depictions of the disease in ancient art. The disease was first recognized as a distinct condition by the English physician Michael Underwood in 1789 and the virus that causes it was first identified in 1908 by the Austrian immunologist Karl Landsteiner. Major outbreaks started to occur in the late 19th century in Europe and the United States. The first polio vaccine was developed in the 1950s by Jonas Salk. It was hoped that vaccination efforts and early detection of cases would result in global eradication of the disease by 2018. Types of Poliomyelitis (Polio): The poliomyelitis virus is an obligate intracellular parasite which has been classified into three main types: Brunhilde – named after the Rhesus monkey in which the virus was first identified; Lansing – isolated from a fatal case of bulbar polio in Lansing, Michigan; and Leon – identified in a child named Leon during the Los Angeles epidemic. Probably the most common type of poliomyelitis is the form least identified by the general public. It is known as abortive polio and is difficult to diagnose since the symptoms are often overlooked. 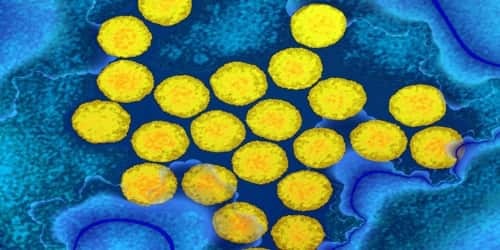 If, on the other hand, the virus on reaching the central nervous system carries on pronounced activity, it will bring on identifying symptoms of recognized poliomyelitis. First, it may cause merely a stiffness of the neck and back, but no clinically evident paralysis. This type is known as nonparalytic poliomyelitis. Paralytic polio is also classified depending on the location of the nerve cell destruction. Polio is called spinal when the paralysis involves the skeletal muscles supplied by the spinal nerves. In bulbar polio, there is involvement of the muscles supplied by the cranial nerves. Bulbar polio occurred in about 5-35% of paralytic cases (depending on the epidemic) and led to problems of breathing, swallowing and speech. 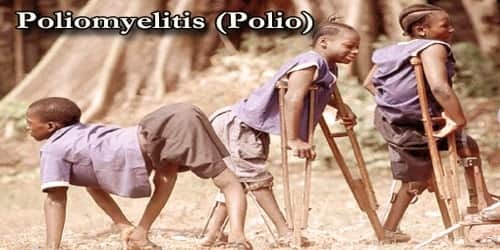 Causes, Sign, and Symptom of Poliomyelitis (Polio): Poliomyelitis is caused by infection with a member of the genus Enterovirus known as poliovirus (PV). This group of RNA viruses colonizes the gastrointestinal tract — specifically the oropharynx and the intestine. The incubation time (to the first signs and symptoms) ranges from three to 35 days, with a more common span of six to 20 days. About one to five in 1000 cases progress to paralytic disease, in which the muscles become weak, floppy and poorly, controlled, and, finally, completely paralyzed; this condition is known as acute flaccid paralysis. Between 2 and 10 out of 100 people who have paralysis from poliovirus infection die because the virus affects the muscles that help them breathe.